Hello! 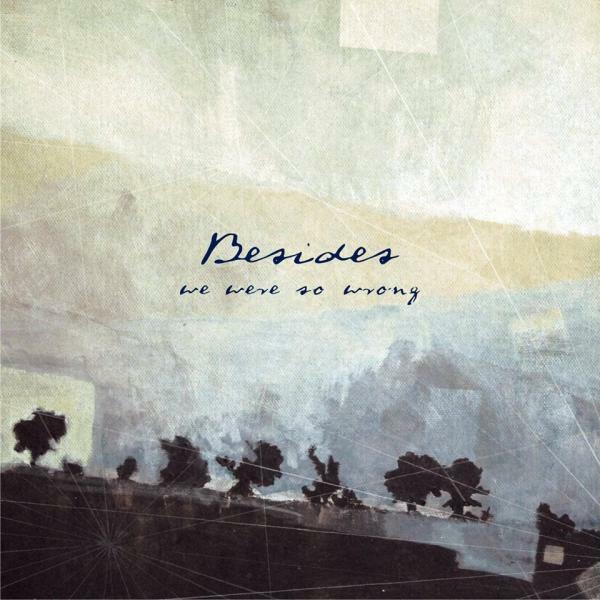 If the music on “We Were So Wrong” could be classified as post-rock/metal, I would say that “Everything Is” is crushing any classifications, because any track are more experimental. How would classify the music of BESIDES now, in the year 2016? To be honest I wouldn’t like to classify our music at all. Nevertheless, it is inevitable. It’s easiest to say that the music we play is post-rock but we like to call it instrumental alternative music. I’m quite happy with what you wrote about „everything is“. I have to say it was our intention to make it more diversified than the previous album. 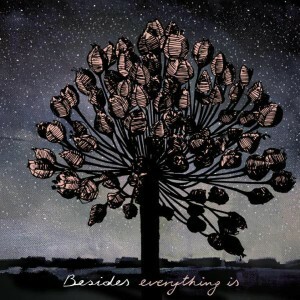 The atmosphere of “Everything Is” balances between being depressively bleak and beautiful. What kind of emotions did you want to express? Every emotion that we are experiencing in our lives. Happiness, sadness, joy, sorrow etc. A very important thing for us as creators of music is the fact if the particular tracks bring about any emotions when we listen to them. First we observe it during rehearsals. How do they affect us. If the track we are working on is “emotionless “ we simply abandon it. What’s more important we often get responses from our listeners after either listening to our music on CD’s or during live gigs. Most often the emotions described by our fans are quite the same as ours. Tell me at the end, what was the main idea that made you to start BESIDES? And which musical projects do you consider as influences? The idea was simple. We wanted to create music which was close to us. The band came into being about 4 years ago when Peter’s (the guitarist) and mine previous band broke up. We played totally different music but at the end of the band existence some instrumental ideas started to appear. We were in the stage of our lives when instrumental music had a great influence on us. We both fell in love with MONO, I DISCOVERED MOGWAI and Peter listened to TIDES FROM NEBULA (which I at that time had no idea about). Apart from strictly instrumental bands we really listen to a wide variety of music. To be honest a question about influences is always the hardest for me. There are so many. I like to say that every music which makes me feel goose bumps is the one that inspires me most. To be honest, the thing that gets me most on your music, is it..s strong atmosphere. Which things do you find inspiring for your music? One can say that it is just music and sounds that create the atmosphere. But all of it is let through our four senses, experiences, emotions, and this mixture gives the final effect. In my opinion, nowadays sensitivity and personal experiences of the creator make the music unique. Especially when we are aware of the fact that most of the songs you can hear on the mainstream radio or TV is very often almost the same. From your view, is there any big difference between your two releases or is “Everythig Is” only a continuation? The difference is quite significant in our opinions. First of all these two albums were created and recorded in a totally different way. 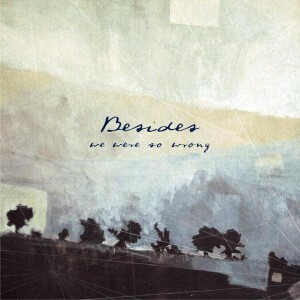 The tracks on “We were So Wrong” were mostly my ideas ( 2 of them were Peter’s) saved on my computer and arranged during the rehearsals. The process of writing and rehearsing took almost 2 years. In the studio we recorded it live, which means that every musician had his own room and recorded tracks simultaneously. It makes the material more organic. If you listen carefully you will hear some inconsistencies and tiny mistake but we desired it to be like this. “Everything is” was created in Peter’s flat. It was 3 months of sitting with guitars and keyboards for 8 hours a day. We almost didn’t have to arrange it during rehearsals with the bassist and the drummer because it was 90 percent complete. 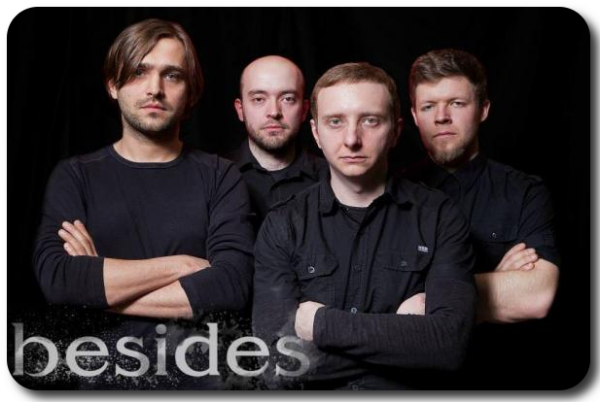 At one point we invited Maciek Karbowski, the guitarist from TIDES FROM NEBULA, to become our producer. And this made a huge difference. Te record is dirtier, darker and heavier then the first one. We used like 6 types of guitars, loads of effects and three different amplifiers because we wanted guitars to be diversified. It happened that we used 4 different guitars and 3 different snare tuning in one track. Most of all, this time we recorded the album using tracking method (one instrument at a time). It gave us a possibility to experiment with different sounds and effects. At the beginning we didn’t plan it to be a concept album. When we had all the tracks finished we noticed that they can be arranged in a way that the first track is the brightest, the happiest and the last one is depressing, sad and dark. We tried (I hope we succeeded) to arrange the whole album so that the mood falls down gradually. The titles somehow represent this idea. Do you know about certain fans which were brought to you through visual stylisation? Pictures, covers etc. … What the abstraction means to you? Man can imagine anything if looking on abstract art. Your presentation is quite abstract with your cover arts… Am I right? All of the visual arts (covers, posters, graphics presented on Facebook etc.) was created by my wife. In case of the first album she listened to premixed tracks and painted a physical oil paintings (one per track) which were than photographed and used as a cover and a poster put inside the cover. This way the graphics represent her feelings, her emotions connected with the music. They are her own interpretations of individual tracks. It’s quite honest. We didn’t direct her in any way. We’re glad that people try to interpret them in their own way. Is music of BESIDES made only by ideas from your heads or also by some special personal experiences from your life? You can’t avoid being influenced by the your life experiences. For example, I created some of the tracks for the first album when going through quite a difficult period in my life. Looking at these tracks I can hear this influence. It’s natural that when you are extremely happy and everything around you seems to be perfect the music or any kind of art you create will be bright and joyful. And it works perfectly the other way round. This is the same with experiencing music. When you listen to a particular track it can make you sad or happy depending on your actual stare of mind. By the way, would you call yourself an emotionalism capable of drowning in the hopeless melancholy and measure its somehow depraved beauty? Life is full of hopeless melancholy so we measure this depraved beauty every day. Melancholy is one of the main motives which interests us in music, film and relations Yes we drown it with certain pleasure. Do you have a realistic view of making it in the music business with this style of music or do you want to go as far as you can? Yes we have. We are quite aware of the fact that the music we play won’t bring us lots of money and fame. You won’t listen to our tracks in mainstream media, radio or TV. But this is not our goal. 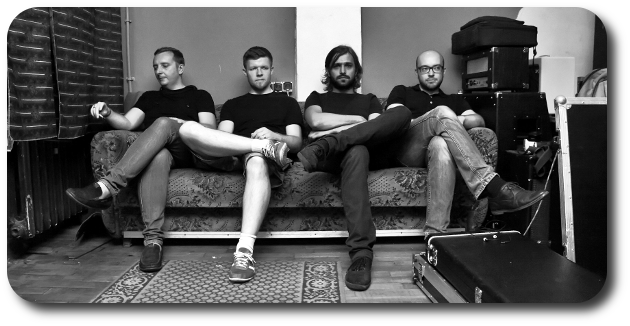 Luckily for us there is a group of people who buy our albums, come to our gigs and give us loads of fantastic feedback. That’s the most important thing for us as a band. As long as we have somebody who will listen and enjoy our music we know it’s worth doing it. As one of the few bands playing instrumental music, do you feel over the past few years this kind of music succeeded in getting more attention and support in Europe? Do you know bands like a APRIL RAIN, AUDREY FALL, TSIMA (from Poland!) and etc.? Definitely instrumental music is getting more and more popular in Europe. 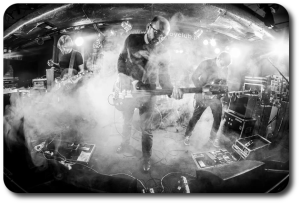 There is a huge number of great bands in Europe creating and playing “post rock”. 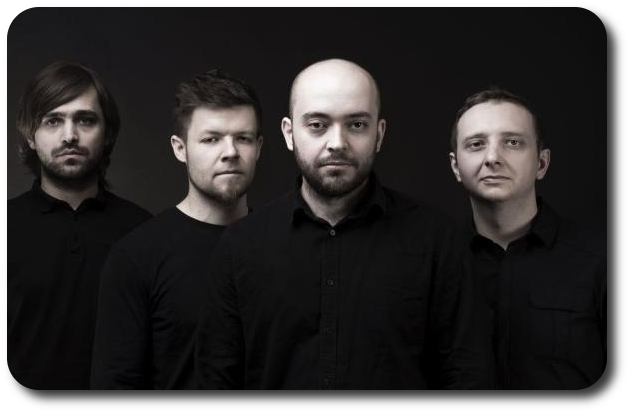 In Poland we have lots of great post rock bands starting with TIDES FROM NEBULA ( the best one from our country in my opinion and at the same time quite well recognized in Europe), SPOIWO, SOUNDS LIKE THE END OF THE WORLD, UNDERFATE, BEYOND THE EVEN HORIZON, TRACES TO NOWHERE, and TSIMA which shared the stage together once in Wroclaw in Poland. But still we can say that it is somehow underground an to be honest I prefer it like this. What about fans you meet on your gigs? How categorise your listeners? We are far from categorizing them but we noticed that the majority of our listeners are mature people with some good sense of worthy music. People who love music, who seek emotions in music and are looking for unique stimulus. How about the receiving of your music in Poland? What do you think of the current state of music and culture in Poland? Surprisingly (bearing in mind that this kind of music isn’t mainstream) it’s quite good. More and more people are coming to our gigs, we sell some records and( I will repeat it again), we’re getting a positive feedback from our listeners. I know that you visited Czech Republic with BESIDES a few weeks ago. Do you have good memories, did you enjoy the time you spent here? Any funny stories? 🙂 Would you like to return here at some time in the future (personally or with the band)? Our visit to Czech republic was fantastic!!!! It truly was a great and unforgettable experience for us. We especially liked the atmosphere in Czech Republic. I don’t know how to describe it exactly but Czech people have completely different attitude towards life than Polish people. You don’t get things around you so seriously (in a good way of course) as we do. You seem to be more relaxed. On our way we met some fantastic people. 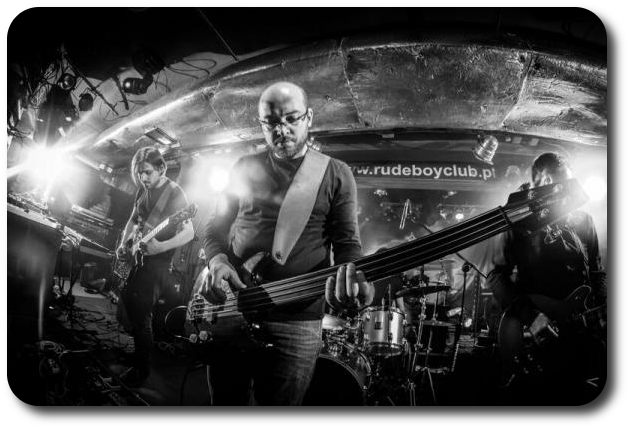 I remember we played in Kladno where we shared the stage with a fantastic Band “LE BAIN DE MAID” and got to know its members. Yes we definitely want to return to your country and we hope to do it this autumn. You’re kindly welcome. Thanks for the Czech people who we came across during our gigs in your country. You are a fantastic audience. Hope to see you soon!!! Stay tuned visit our fan page to get some fresh info from us. Cheers!! !